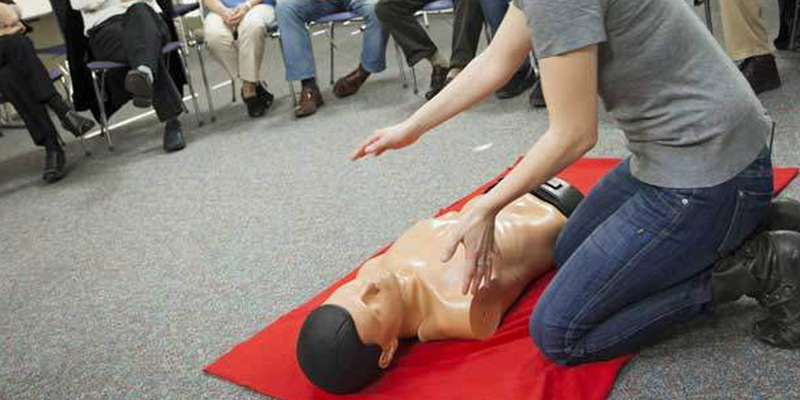 Guardian Angels Training provide a range of First Aid training courses throughout the UK. We can visit you at your premises or at a place of your choosing and at your convenience to deliver a wide range of accredited and HSE approved First Aid training courses. Guardian Angels Training is committed to delivering high quality first aid training courses and offers a consultative approach to your training needs. All of our First Aid training courses are made up of both theoretical knowledge and practical sessions that are designed to develop ability and most importantly practical confidence and competence. All courses adhere to national standards and guidelines from organisations such as the Health and Safety Executive (HSE), the Resuscitation Council UK, and OFSTED. Recently, the HSE implemented new rules for employers regarding the provision of First Aid training. Employers must now by law carry out a First Aid training needs risk assessment which will determine which training course is required, such as the 3 day First Aid at Work or the 1 day Emergency First Aid at Work training course. In addition, the HSE now recommended that all First Aiders and Healthcare Professionals attend HSE First Aid annual refresher training courses lasting at least 3 hours. Further, since the removal of the HSE approval system in 2013, employers must also now complete a due diligence assessment of all training providers, this ensures that you choose the correct provider. To assist this we have created, in consultation with the HSE guidance, a due diligence checklist. This demonstrates that Guardian Angels Training is one of the best First Aid training providers in the UK. Please contact us should you require any advice concerning your First Aid training needs risk assessment, the due diligence checklist or if you wish to book one of our nationally accredited and recognised RQF (QCF) HSE First Aid training courses.